This week’s Travel Theme from Ailsa is Costume. 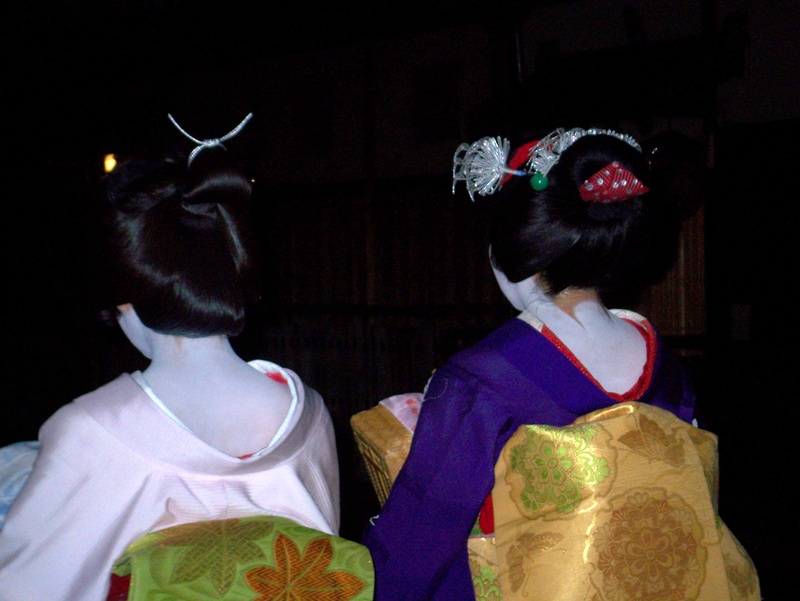 These Geisha costumes fit the bill. 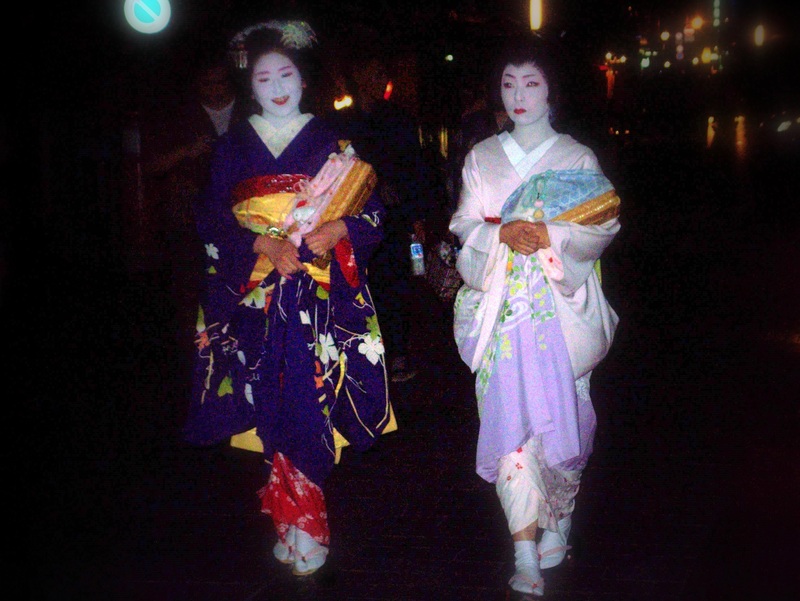 We were very lucky to spot the two women on an evening stroll in Kyoto. And on a more humourous Japanese, but non Geisha-related topic, I just have to add this pink ninja! I have always wanted to be a geisha. I’ve always wanted to be a pink ninja. And I’ve always wanted to be a Fairy Godmother. I’ll see what I can arrange for you both.